The regulator in this regard will be guided by their own goals of maintaining maximum employment and price stability. The fact the markets have yet to be convinced that the fed will be more accommodative policy and will not return to the harsh rhetoric in the case of significant growth of the markets. Strategists Julius Baer took advantage of the significant growth of markets since the lows, marked 24 December 2018, and came from a number of assets in the Nasdaq 100. The received funds are kept in cash and will be reinvested under favorable market conditions. Now in the global economy is dominated by several significant uncertainties which negatively affect investor sentiment and business activity. In addition to the policy key regulators they are connected with the longest in modern history the US government shutdown. The prospects of termination “closure” of the government remain vague, and the longer it will last, the stronger the negative impact on the growth of the American economy. In addition, remain poorly predictable future actions of the fed. Despite the fact that the American Central Bank has said it is ready to slow down the process of raising rates, it may well come back to tighten the monetary policy against the background of rising stock markets. Perhaps it would be a serious mistake and will negatively affect the dynamics of many assets. Prospects of foreign trade relations between the US and China also vyzyvajut a lot of questions. Both sides expressed optimism about reaching an agreement on fees, but specific decisions have yet been taken was not made public. The settlement of the situation will have a strong positive effect on investor sentiment. Finally, the most significant factor of uncertainty relates to the ongoing European epic about the British exit from the EU. British Prime Minister Theresa may, are unable to enlist the support of the Parliament agreed with the European Union the Brexit plan, even after the postponement of voting on it from mid-December to mid-January. According to our estimates, the probability of a “hard” scenario Brexit remains, though it is not great. 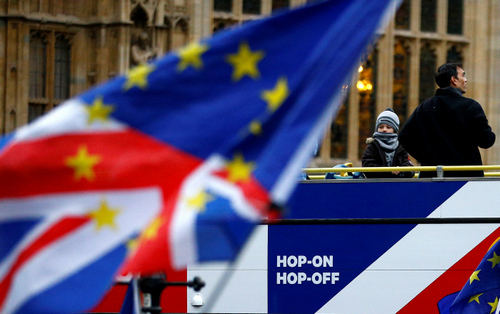 The majority in the British Parliament, and Brussels oppose unregulated “divorce” between the parties, so the most logical step would be the transfer of the official date Brexit. This increases the likelihood of a “soft” release or waiver after holding a second referendum. In the current situation in pound sterling assets will exhibit increased volatility, so that their share in the portfolio Julius Baer remains low. Forecasts for global growth deteriorated after the decline of the main leading indicators. The difference in growth rates between the various countries remains significant, and the weak performance recorded in emerging economies with the greatest structural problems. In the US the figures are kept high: despite increasing risks, the American economy continues to grow at a rate that in the short term will continue to outpace those of other industrialized countries. In the Eurozone, where GDP growth has surpassed all estimates for several quarters, leading indicators point to a likely slowdown to a fundamentally justified level. Against this background there are increasing calls to implement fiscal measures to support the economy. The European Central Bank (ECB) might react to downside risks to the GDP of the region and delay the first interest rate hike. However, the regulator is unlikely to abandon the tightening of monetary policy. The latest statistics on Chinese economy was worse than the expectations, business activity in manufacturing industry of the PRC continues to deteriorate. It is obvious that trade disputes with the United States affect, albeit not too noticeable in the attitudes of entrepreneurs. The effect of pulling future demand into the present loses its power, and the volume of orders with both external and domestic markets shrinking. In the non-manufacturing sector in China mood, in contrast, are quite optimistic. Latest support measures by the authorities of the country appear to be starting to have a positive impact on business activity in this sector. However, the deterioration of the dynamics of GDP looks stronger than previously expected, so Beijing had to implement additional stimulus measures. The people’s Bank of China has lowered the reserve ratio by 1%, while the government announced the infrastructure plan high-speed rail and tax reform to enhance private consumption. In future we can expect further stimulus, so we keep a strategic view on the Chinese market shares in a specific portfolio diversification. Still high rate of growth of the national economy, should support prices for securities of Chinese companies.